Representative Honours: Ireland: 2 Full Caps (1921-1924), 2 Victory Caps (1919); Irish League: 1 Cap (1927). Club Honours: (with Belfast Celtic) Irish League Champion 1919/20; Irish Cup Winner 1917/18, Runner-Up 1916/17. Slight of physique, but clever and assertive, Daniel McKinney was usually a winger but often slotted in as centre-forward when required. He arrived at Paradise as a teenager, from Belfast Celtic's "unofficial third team", St Paul's Swifts. He was taken under the wing of Mickey Hamill who took a fatherly interest in him. Indeed, Hamill's coaching and intuition are largely credited with McKinney's rapid success. With Celtic McKinney played in two Irish Cup Finals, claiming a winner's medal in 1918 when it took three matches to see off Linfield in the Final, and also a League title in 1920. In 1919 he earned inclusion in the Ireland side for the post-War Victory internationals, playing as inside-right and outside-right in a 2-0 defeat and 0-0 draw with Scotland respectively. 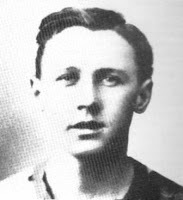 In 1920 McKinney signed for Hull City following Celtic's withdrawal from the Irish League. He spent three seasons with Hull, all in the Second Division, playing over fifty times. It was during his time at Anlaby Road that he was awarded his first cap, as centre-forward in a 2-0 defeat by Scotland. McKinney was transferred to another north-east Division Two side, the struggling Bradford City, in July 1923. It was during his season at Valley Parade that McKinney won his second cap, again against Scotland, in his favoured outside-right role. His clever wing-play brought no reward as the Scots won the match, played in a piercing cold wind at Parkhead, 2-0. Having fallen out of the firstteam reckoning at Bradford City, McKinney moved to Norwich City in October 1924. He spent a little under two years at The Nest, playing entirely in Division Three (South) as the club struggled to adapt to life in the Football League. Later McKinney returned to the Ireland where he played in Bangor’s first season as an Irish League club. In September 1927 he represented the Irish League in a 9-1 defeat by the Football League at St James’ Park, Newcastle. At Bangor McKinney was joined by his brothers Jack (who had been with Dundalk) and Malachy (ex-Fordsons). Summary: 2/0. Won 0, Drew 0, Lost 1. Additional club career info courtesy of Martin O'Connor.